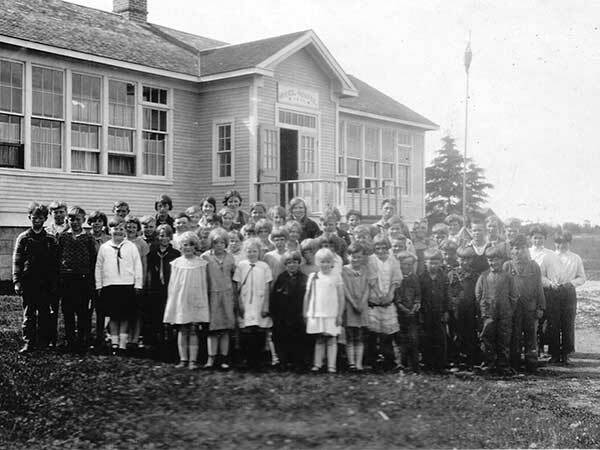 Known locally as the Hecla School, provincial education records record its name as Big Island School, probably to avoid confusion with Hecla School elsewhere in Manitoba. Situated on Hecla Island in Lake Winnipeg, the district was established formally in May 1889. It was dissolved in 1967 and the catchment area became part of the Evergreen School Division. The school closed in June 1970. 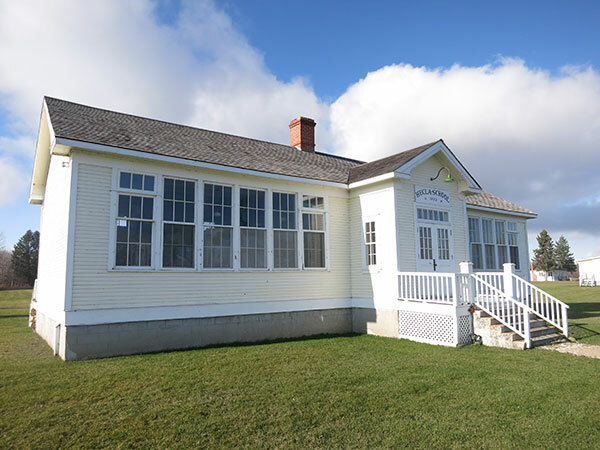 The former two-room schoolhouse still stands at the site which is now part of the Hecla-Grindstone Provincial Park. Among the other teachers of Hecla Island School were Thorfinnur Thorsteinsson (1885), Johann Solmundsson (1885), Jon Runolfsson (1890), Jona Sigurdson (1910), Lara Eyfjord (1918), Asta Jonasson (1919), Guony Jonasson (1919), Kristin Stefanson (1920), Ljotunn Thorsteinson, Stella Stefanson, Jon Gillis, Ingibjorg Sigurgeirson Jonsson, Lenore Denby, Sadie Armstrong, Mabel Rognvaldson Doll, Guony (Gwen) Solmundson Jonsson, Laura Fraser, Leila Fraser, Lillian Campbell, Frances Campbell, James Taylor, Christine Tomasson Jefferson, Magnusina (Marge) Jones, Louise Stefanson Jones, Hrund Skulason, Skuli Bodvarson, Edythe Whitfield, Mabel Gossen, Mildred Gossen, Freda Thordarson, Frank Rhome, Lawrence Johnson, Jonas Einarson, Bill Williams, Doris (Sudbury) Tomasson, Wilfrid Laurier “Laurie” Tomasson, Gordon Bardarson, Jean Taylor Thordarson, Johann Palson, Irene Eggertson Thorarinson, Jonina Stefanson Benson, William (Bill) Moffet, Thorbergur (Buddy) Jones, and Kenneth Halldorson. GR8461, A0233, C131-1, page 92. School District Formation Files [Big Island School District No. 589], GR1688, E0027, Archives of Manitoba. Mikley: The Magnificent Island: Treasure of Memories: Hecla Island, 1876-1976 by Ingibjorg Sigurgeirsson McKillop, 1979.